How Do Ultrasonic Pest Control Products Work? 1. 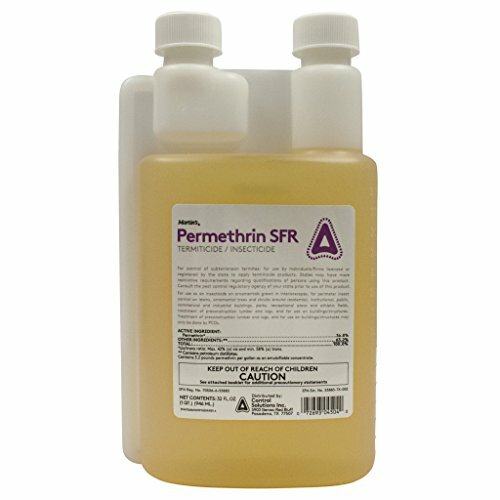 Permethrin 36.8% concentration, 32oz. Depending on where you live, your home may have a variety of pests coming in and making themselves at home. Some of them may not bother you that much, but most pests are a big problem! The worse problem comes when you want to get rid of pests because they can be very difficult to handle. You will need the best pest control option for your unique situation if you want to keep firm control over your pest problem. If you’ve been looking, you’ll know that there are a lot of different types of pest control solutions. It can be difficult to navigate through all the varieties, but it’s better to have these choices than to be without any choice. Because many different pests do not respond the same way to each type of pest control. Some may be repelled by a spray or a bottle, while others are repelled by traps and ultrasonic devices. It’s very important to know the type of pest or pests you’re dealing with before you try to do anything about them. If you just buy a generic formula, it may not work for your specific problem. What is it that’s bothering you? Do you have a rodent problem with rats or mice, or is it a certain type of insect or bug? If you plan to take care of the pests by yourself, find out what type ﻿they are specifically so that you can target them properly. Do you have any issues with certain types of chemicals? Some pesticides are created with very strong chemical solutions, so it’s best to know if you’re going to have any issues with the solution before you try to use it. If you have issues with the chemicals in pesticides, you can find natural products and chemical-free solutions that might also work just as well to get rid of your problems. Depending on where your home is located and what is surrounding it, you may need to choose a different solution than others. For instance, houses with large yards may need lawn treatments as well as indoor treatments, while an apartment won’t need outdoor treatments at all. Also, even specifics such as carpet versus solid floors can change which pest control solution you will want to choose. Which type of pest control do you need? There are concentrated powders that you can sprinkle around, liquids to spray, gels to apply, and more. If you have pets or kids, this will be a bigger issue than if you are a household of adults. Some pest control options are much easier to live with than others. Sprays may leave an odor until they dry, while powder can cause a bit of a mess if you apply it in an area that you move around in. Gels and alternative solutions are usually the least messy and the most discreet, but you have to make sure you place them in the best areas for good results. Where you need to do pest control will change what you need to buy. For instance, treating a basement for roaches is different than treating a kitchen for roaches. You can use stronger products in areas that aren’t lived-in than in places where food is prepared for where you will be staying for long periods of time. Outside treatments are completely different, so it’s best not to try to use most indoor solutions outside. This is because most pest control outside is done with bait, which is usually an inappropriate method for the indoors, where repellent is a more favorable solution. As I mentioned before, children and pets can cause some concerns when you’re choosing the best pest control. Both can be in danger of poison if they can access the pest controlled area easily. Choose something that will keep your entire household, including pets, safe. There are some solutions that are very expensive, while others are easier on the budget. Concentrated formulas and powders can cost a lot over time, as you will have to replace them periodically to maintain proper control. Traps may or may not be cost effective, depending on how bad your problem is. Other devices, such as the ultrasonic devices, rarely need to be replaced and can save you money if they work against your particular pests. One of the most recent breakthroughs that is said to help repel a wide variety of pests is the ultrasonic technology. Ultrasonic devices sound almost like scams that are too good to be true, but it’s not entirely a false claim. These devices aren’t magic, and they use a very simple mechanism to dissuade pests from hanging around in your home. As the name implies, these devices send out ultrasonic sound waves that are disturbing to most rodents, bugs, spiders, and other common household pests. You won’t hear the noise from the device, as it’s in sound frequencies higher than the human ear can hear. 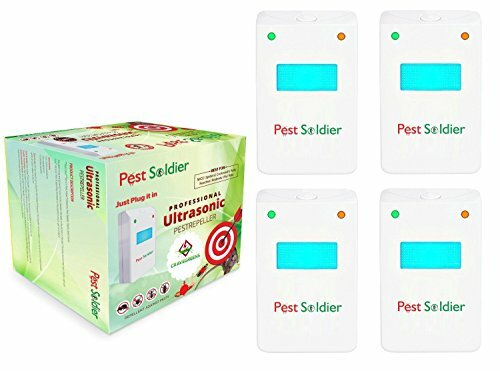 The consensus seems to be that these are good for light pest control, but they don’t work very well for infestations or for serious pest problems. They are good for keeping a lot of the creepy crawlies away, but not for everything or for a permanent solution. This formula is made from concentrated permethrin, and it’s used to target a wide range of insects. It’s mostly used as an outdoor perimeter treatment, but can also be sprayed inside at the entrances that the insects us as well as for spot treatments around trouble areas in the house. 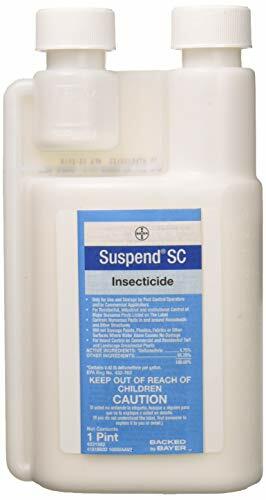 As a concentrated formula, you can expect to get anywhere from 20 to 96 gallons of insecticide, depending on how strong of a formula you want it to be. Treat for ants, roaches, termites, fleas, ticks, and more with this formula. Because it’s a general formula, you can’t expect it to work very well on everything. It’s not going to be specifically targeted at getting rid of certain pests, so if you have a particularly bad problem with a specific pest, then you might have difficulty using this spray for it. This pest control formula is made from 7.9% Bifenthrin, which targets a different set of bugs. It is good for most general pests, such as earwigs, roaches, mosquitoes, millipedes, and some others. This formula may not work on all common pests, but it can do a lot for a majority of the annoying bugs that will bother you at home. You can apply this formula anywhere indoors or outdoors, including in food handling areas. Once it is dried, it is not a safety hazard around the home. It is a great treatment for around the yard and the perimeter, but will also be okay for thorough sprays indoors to get rid of pests living inside. This is a good product for broad pest control in and around the home. It can be used anywhere, including the kitchen and other food handling areas. Anyone can mix this effectively at home, with the normal concentration yielding about 64 gallons per 1 pint of the formula. When you apply this concentrated formula, it won’t stain any of the surfaces it’s applied to. Wood, carpet, tiles, vinyl, and other surfaces won’t show any visible signs of staining or residue from the liquid spray. Unlike some other sprays, this formula actually works on porous surfaces as well, making it great for stone surfaces, cracked areas, and places with small crevices. Additionally, there’s no noticeable odor once the liquid has dried. Because this is a broad pest killer, you can’t expect it to work well on every type of bug and pest in or around your home. It may not be good for use in the garden, and there are some reports that it’s not effective on mites and other small insects. Unlike the others on this list so far, this is not a concentrated formula. It is a pre-mixed solution with a built-in spray bottle that’s great for applying it around your home. As a 1 gallon bottle, it’s easy enough for most people to carry around when spraying, so that makes it convenient for homeowners to use around the whole house and outdoors. This is a nice product to have on hand for immediate needs in pest control. It’s inexpensive enough to keep a bottle in the closet or under the kitchen sink for reaching as needed. 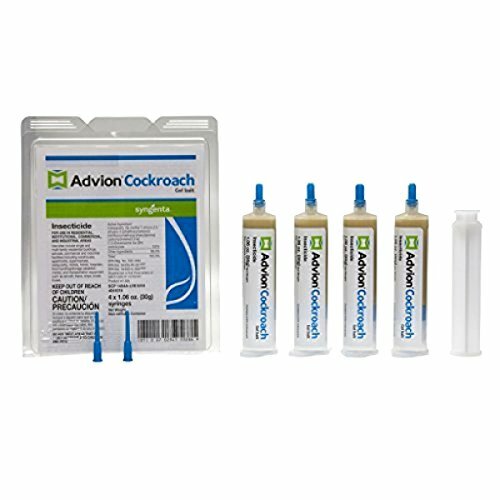 While some gel treatments work well on a variety of bugs and other pests, this gel is meant especially for roaches. It’s good for all types of cockroaches, and works in all areas around the home, even in the kitchen. Rather than repelling the pests away, this gel is a bait product that is eaten and also taken back to the nest to infect other members of the same colony. It works well on roaches because of the unique formula that is very attractive to roach species, and also deadly at the same time. To apply, simply squirt a small amount of gel around different areas of the home and wait to see the effects of the gel in a few days. This any gel bait works by using an ingredient called Fipronil to attract and kill all types of ants that come into your household. It’s meant to be an inside product, and isn’t really designed for use outdoors or around the perimeter. Most people apply it around the kitchen to catch troublesome ants in the act of rummaging around the kitchen for food and water. To apply, you simply squeeze a small dot of gel around cracks and crevices in whichever area you need ant treatment. It works best if you follow the trail of ants and apply the gel at the entrances they use and the closest point to their outside source as possible. This will keep the ants from coming into your home at all, and will kill them before they can infest the area too much. 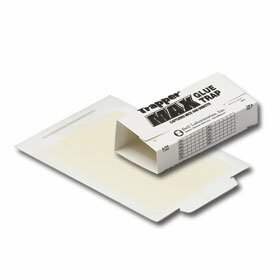 ​If you use this gel, you shouldn’t expect it to work on any other type of bugs apart from varieties of ants. The formula used is not attractive for any other bugs, even for roaches, and will not work as bait for anything except ants. This can make it an expensive choice for pest control if you are already doing something else to control pests. However, it’s great for anyone dealing exclusively with ants. This is a set of 4 ultrasonic devices that can be used all around the home. Usually it’s recommended that you use 1 per floor of your home, but you can double up to keep pests repelled from more lived-in areas if you want better coverage. These ultrasonics are said to work well on mosquitoes, mice, rats, and some common household insects. The annoying sounds emitted from the device can’t be heard by you or anyone else, but pests in your home will be bothered by the sounds and therefore repelled from your home. It works best on larger pests, such as rodents, but can also help with your bugs and creepy crawlies. Some reports on these devices have said that they get a bit warm, which may actually cause some bugs to be attracted to the devices rather than repelled by them. This is an unfortunate problem, and seems to mostly apply to roaches if you already have them in your home. If you combine these ultrasonic devices with other pest control methods, you may be able to have better control over all types of pests than if you use them by themselves. These basic glue board traps are easy to set up with a frustration-free design that makes everything simple for you. You can place them behind furniture and appliances, around the baseboards, in the ducts, or anywhere else you’re having trouble with small to medium sized pests. If you’re having trouble with larger pests, these may not be the right traps for you. Rats will not be caught be these traps, although mice usually will. These are no-kill traps, so if you don’t want to deal with the bugs or mice caught in the glue, these are also a bad idea for you. Most bugs and mice will be caught in these traps. The glue is strong enough to hold a lot of insects at one, especially spiders, earwigs, crickets, roaches, and other smaller creatures that usually run around the corners of your home. 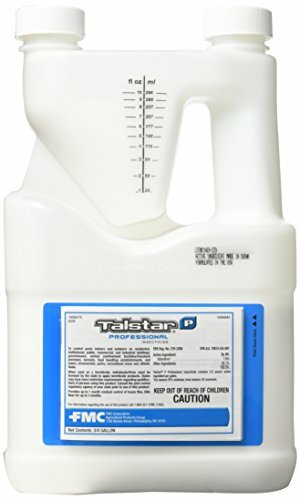 As an overall, broad pest control treatment, I would recommend the Talstar Pro concentrated formula. Although it’s not a great treatment for fleas and some heavy spider infestations, it’s a great general solution for the majority of household insects. Since this solution is a concentrated formula, you will get a lot of value for your money. It’s also a safe solution to use inside and outside of your home, including the kitchen, and will not cause any harm after it’s dried. For these reasons, I think this is one of the best pest control options for most people, even those with pets and children. Keep in mind that this is an insect control product, not a rodent control product, so you should look at other options if you have a rodent problem.